Septic system maintenance should be as easy for you as possible. The experts at Cesspool Service Long Island intend for that to be the case by partnering with you to see that your system remains as problem free as it can be. 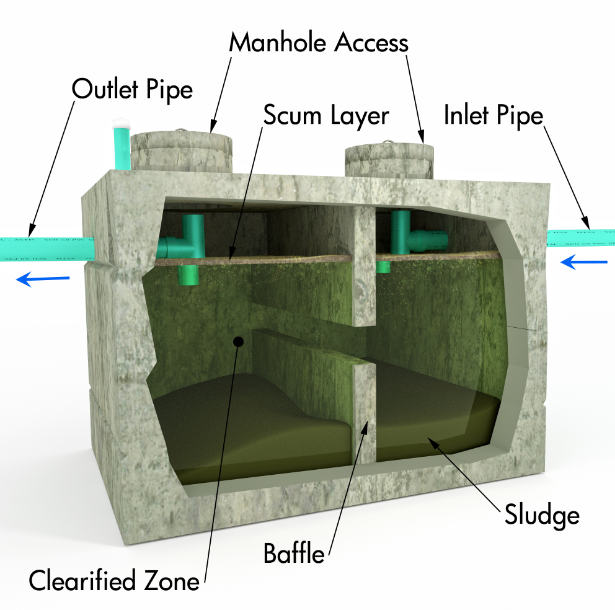 After locating your septic system our technician, as part of a scheduled inspection, will ensure that there are no cracked pipes or seals and that other components such as tees and baffles are in good working order. They will check the tank itself for signs of cracks or leakage, as well as any integrated internal pumps and other equipment. Beyond what our experts can do to keep your system running, you can help in a large way by being careful with what goes into it (and what doesn’t). Facial tissues, plastics, cotton swabs, motor oil or anti-freeze, condoms, coffee grounds or hard plant seeds, cat litter or other gravel, cooking fats/oils, facial tissues, dental floss, cigarette butts, grease or animal bones and personal hygiene products. While there are number of products on the market that claim to “eliminate the need for pumping”, many of these so-called miracle solvents can actually do serious harm to the biological processes of a healthy septic system. In addition to the list above, you should take when disposing of strong chemicals like floor cleaners, paint thinners and other chemicals of this nature as they can kill beneficial bacteria that your system uses to break down and treat your waste and waste water. When properly maintained through proper inspections and maintenance repairs combined with monitoring what goes down your toilets and drains, your septic system should be the last thing on your mind (as we believe it should be) and an investment in your property that adds value. Septic system repairs can include waste drain line repair, pipe repair and resealing, tank lid replacement and resealing, as well as a number of other component repair. If your systems pump should break down due to age (a typical integrated system pump can last from between 7-10 years) or from damage caused by a serious clog or backup, we can take the necessary steps to repair or if necessary replace it. When asking the question “how much does a pump repair cost?”, depending on the specifics of your pump it may fall within a $200-400 range. If the absorption field should be damaged, repairs can be made to the necessary components, though as with other repairs this may require some digging. Rest assured knowing that our professionals have the skill and training to effect this kind of repair quickly and will have everything back to normal. In the event that an emergency repair is needed from, say for example a busted seal, we have convenient and fast service 24 hours a day, 7 days a week. Our technicians will arrive as quickly as possible and fix the issue, getting you back on track in no time. Not sure if we cover your area? Give us a call.